How exactly total health translates into the built environment? 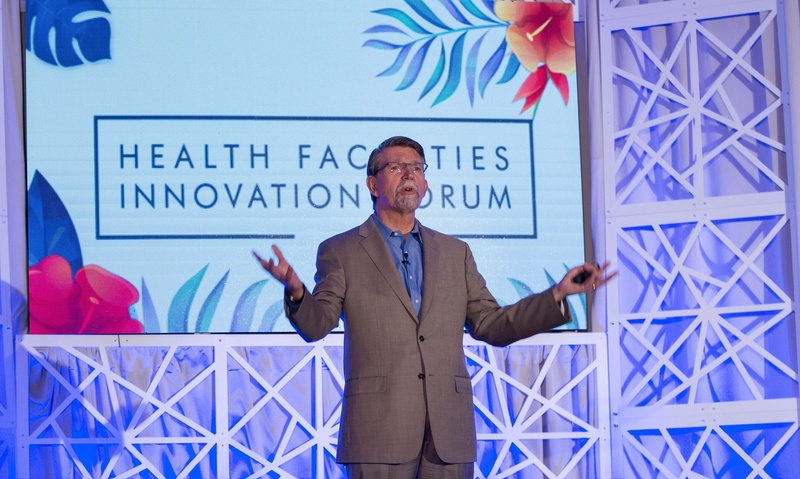 At the Health Facilities Innovation Forum (now HealthSpaces), Don Orndoff, Senior Vice President of Kaiser Permanente’s National Facilities Services, discussed the recent journey to bring “health beyond the hospital” to a historically underserved Los Angeles neighborhood. According to Orndoff, health systems have a tremendous opportunity to redefine the boundary between our buildings and the community through engagement and directly addressing the social determinants of health. The opening of the state-of-the-art Baldwin Hills-Crenshaw medical office is a powerful example of how health systems can build stronger communities and better meet the full scope of unmet patient needs. The conception of this project arose from the need to relieve pressure on its West LA Main Medical Center by offering another service location. But the problem was that urban LA simply didn’t have space for a new hospital campus. They would have to broaden the search area to find a large enough plot to develop on. The second challenge stemmed from Kaiser Permanente's goal to play a bigger role in the communities it serves. Recognizing the socio-economic factors that influence health, the organization aims to enhance its total impact by sparking local economic opportunities and bringing quality healthcare services where they were previously inaccessible. To rise above these obstacles, the mission was to find a substantial plot of land in an underprivileged community that needed revitalization. The search soon led to Crenshaw, a neighborhood in South LA. Crenshaw is a culturally-diverse neighborhood with a stormy past. From the 1970s to the mid-90s, crime, riots, fires, and even earthquakes ravaged the area. The damaged community did not begin to recover until the late 2000s, thanks to redevelopment initiatives. The city has been continuing these redevelopment efforts, recently targeting 22 acres of land in Marlton Square for redevelopment. Kaiser Permanente found this site to be the perfect fit. Not only was the size appropriate, but building in Crenshaw gave Kaiser Permanente an opportunity to provide healthcare and opportunities to a community that lacked both. Kaiser Permanente set out to create an integrated community engagement program, planning how to address local issues such as unemployment and a lack of resources for healthy living. 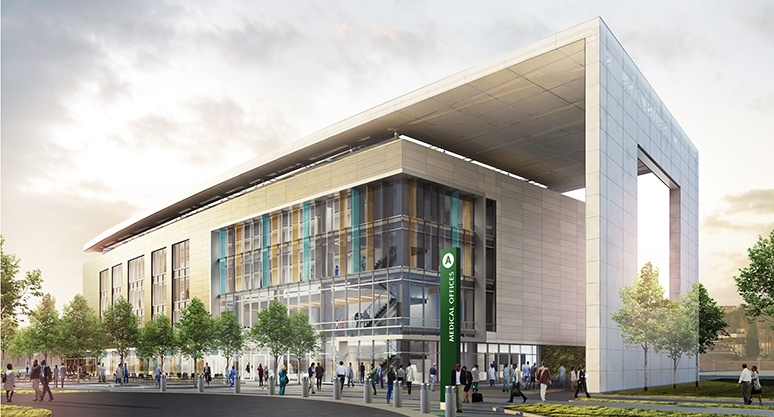 Parts of this plan included hosting a local job fair for the construction labor, as well as Kaiser Permanente staff volunteering to renovate the YMCA across the street. The program also reached out to community members in need of a second chance-- formerly incarcerated individuals were welcomed into the labor crew and given an opportunity to start fresh. 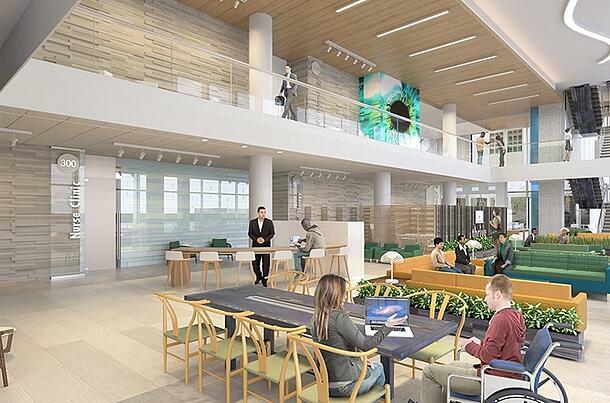 At the project’s end, Kaiser Permanente unveiled a four-story, 100,000 square-foot building featuring cutting-edge technology and a beautiful, modern design. Built for sustainability, the 8.7-acre development is currently seeking LEED Gold certification. This new facility is a major asset to the community, able to provide treatment to more than 50,000 patients, and the new campus gives all local residents a place where they can come to exercise with public equipment and a 2-mile walking path. The facility’s design truly engages the community, inviting residents to interact and make it a part of their daily lives. “We’ll take the lessons learned from Baldwin-Hills Crenshaw—which I think is a success story by any measure—we’ll pull the pearls of wisdom that we’ve learned in that and we’ll apply those as we go forward. 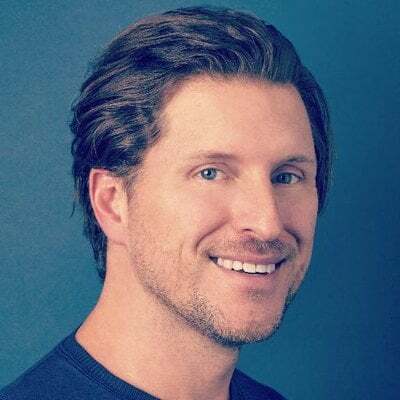 In the modern era, making healthcare accessible doesn’t just mean making it available but also convenient, according to Orndoff. If healthcare organizations want to be successful in achieving total health for the communities they serve, they must find ways to make it easy for patients to get treatment and engage in healthier lifestyles. These principles should be worked into both a medical facility’s operations and design.